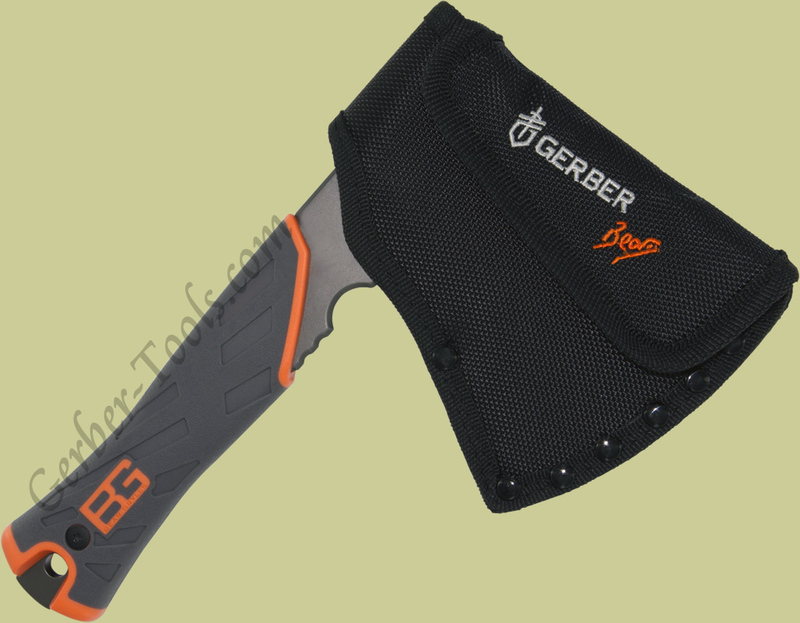 Gerber BG Hatchet 31-002070. 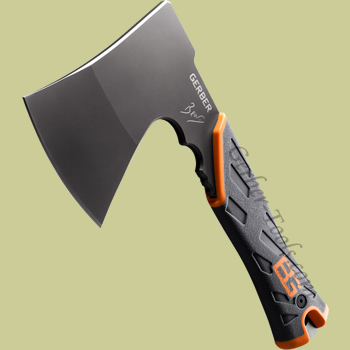 The Gerber Bear Grylls Survival Hatchet model 31-002070 looks a lot like the Gerber Backpaxe, but this model has some extra features that come in handy. 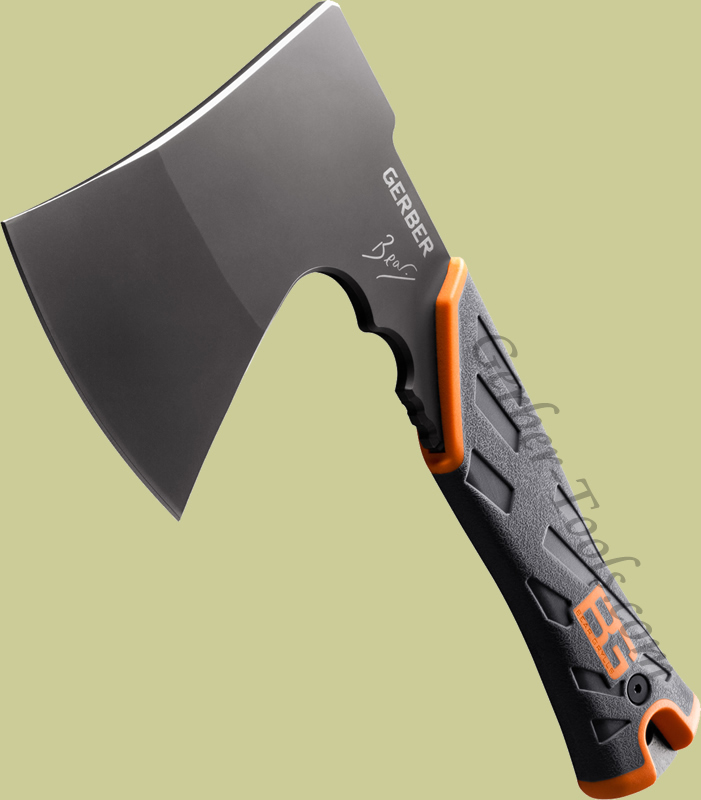 It's 3.5-inch razor sharp blade is equally adept at limbing saplings as splitting logs. 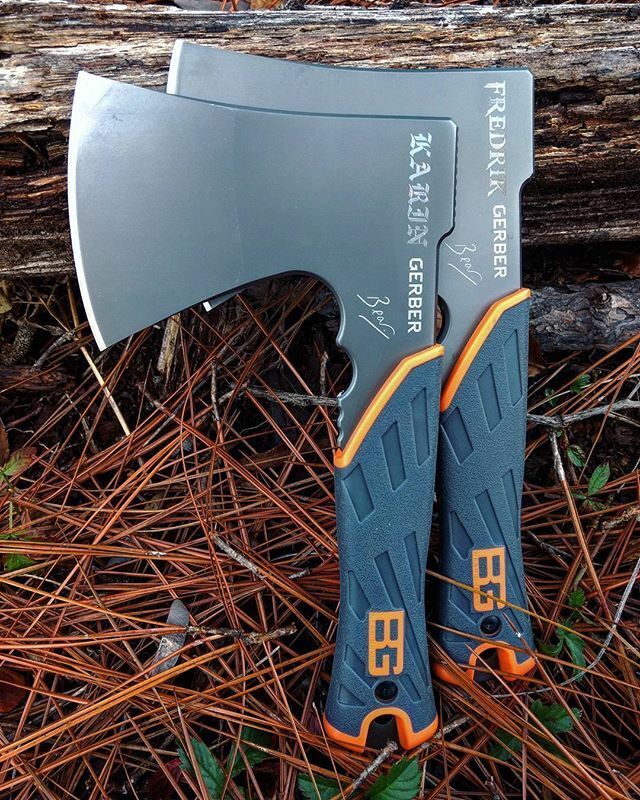 The blade is a full-tang construction .This set will come with a nylon sheath and the Bear Grylls “Priorities of Survival” Pocket Guide. 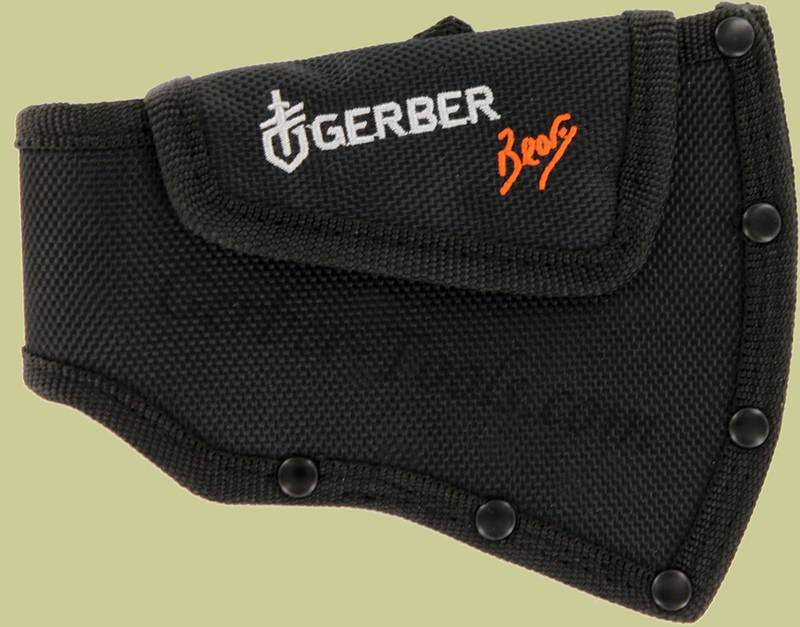 This sheath is Military-grade, mildew-resistant nylon sheath with belt loops. The handle is ergonomically made for best chopping results. There is a non-slip rubber grip for comfortable and secure handling in all conditions.